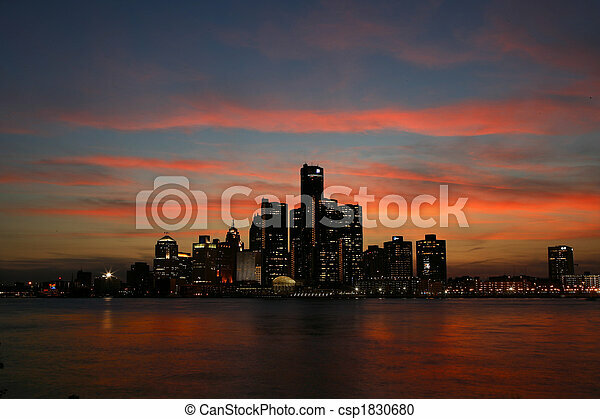 Detroit skyline. 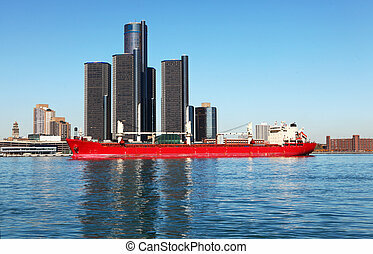 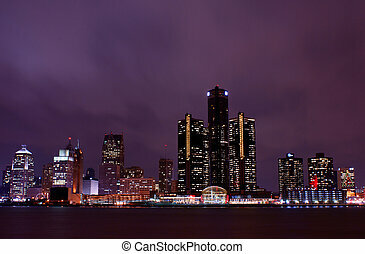 The detroit skyline from the canadian side of the river. 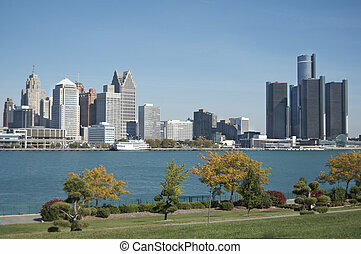 The Detroit skyline from the Canadian side of the river. 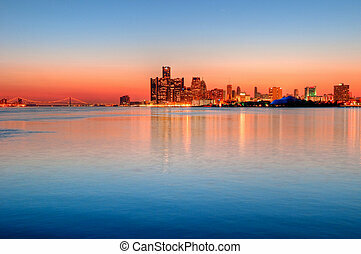 Detroit, Michigan Skyline at Sunset overlooking the Detroit River from Belle Isle Park with a view of the Ambassador Bridge. 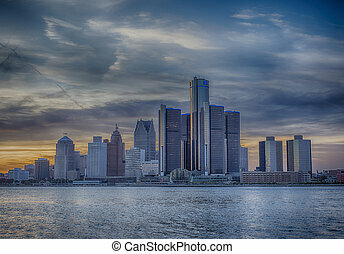 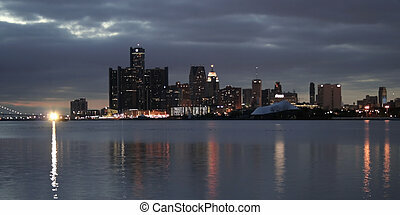 A panoramic photo of the Detroit Skyline from Windsor, Ontario, Canada. 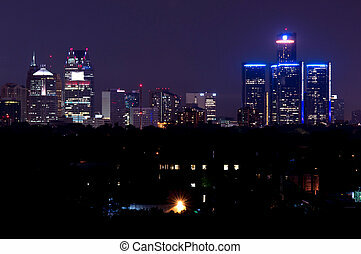 Detroit City skyline from Canada. 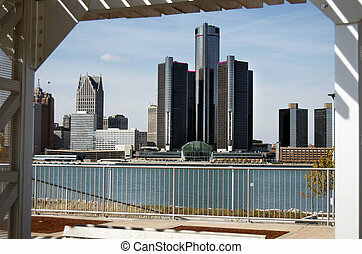 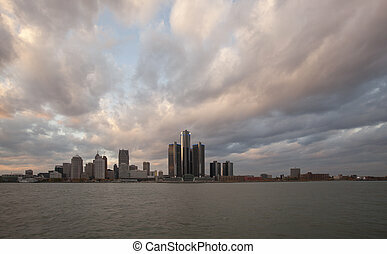 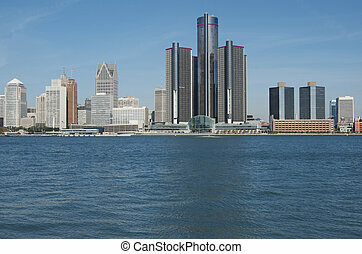 Panoramic view of Detroit oskyline from Windsor, Ontario. 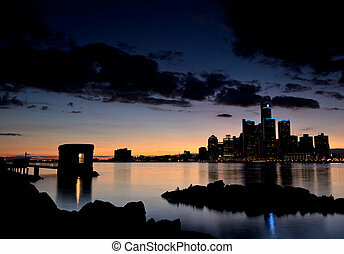 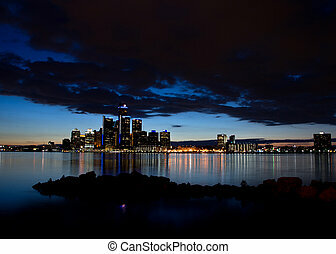 The Detroit skyline at twilight viewed from Windsor, Ontario, Canada.